← Journalism One. Fall 2012. Last Day of Class. “Whenever I tell people I interned for the Howard Stern Show, I normally get the over-the-top and exaggerated jaw-dropped reactions. 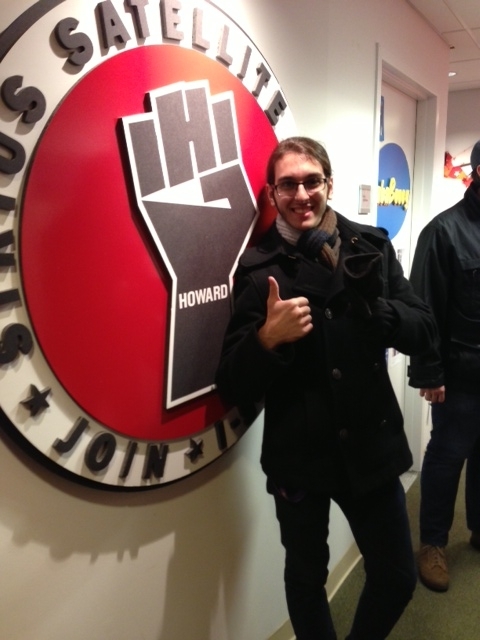 I mean, Howard IS the self-proclaimed King of all Media, and there’s definitely a lot of media buzz surrounding him. I’ll admit, I barely ever listened to Howard Stern before I arrived there, so if anything, I MAY have been the odd one out. It all came up last minute, too. 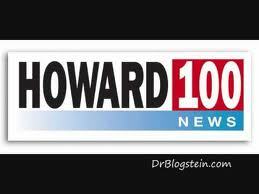 Summer break just started, and my mom waltzed into my room and asked, “Do you want to work for Howard Stern?” I instantly thought, “That guy I talked about in my J1 class? This is a joke.” It turns out that my mom designed the house of Howard’s sister, and she got me in touch with Baba Booey, who connected to someone else, who connected me to someone else, etc., etc. “The internship was actually different than I expected it to be; I only had to fetch coffee about six times, which is surprising on a whole new level. But honestly, I really enjoyed the internship. I’d go in three times a week, unless the show was on break, and I’d work my shifts. For me, I had two morning shifts and two afternoon shifts, and the morning shifts are when it’s actually pretty hectic in the Stern Office, because that’s when the show is on the air. I had to be at the office at 6 a.m., and with a commute from Long Island, that required me to get up at 4 a.m., which, I’ll admit, is a little foreign to me. “In terms of what I actually did at the internship, I’d sit in the back office with all the other interns, and we’d answer phones, run errands, look up Howard mentions in the news and transcribe/log radio shows of our choice. The transcribing was the easiest job to me because I’m used to rewriting things I hear, but it took a long time. You’d be writing about everything that happens on the show you’re listening to, and these shows could range from 1-4 hours. You have to toot your own horn in this business, that’s for sure. Well done, Mike! That’s the way to “stay gold,” Mike! Thanks! Hmm. Got another photo of Mike? Looks like it might be too shadowy for Facebook. Otherwise, it’s a great post of FB. If there’s not another photo, can you send me the original file of it?